Therefore I say unto you, Take no thought for your life, what ye shall eat, or what ye shall drink; nor yet for your body, what ye shall put on. Is not the life more than meat, and the body than raiment? 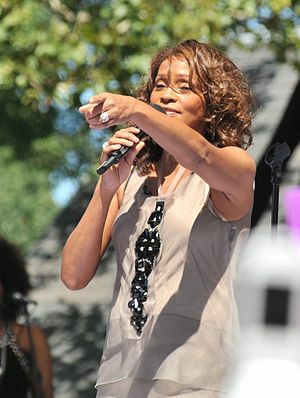 Yesterday, I tuned in to the last few minutes of Whitney Houston’s 3 hour and 45 minute funeral service. The main preacher was about to begin. He preached on the above verse from the Bible. It really is so true, that we all get caught up way too much in what we are going to eat and what we are going to wear. The man did a good job in my opinion, and not only did he preach, but he played the piano and sang and asked his twin brother to sing. I can’t even being to imagine being the mother of children like that who have talent beyond measure. In my English IV class on Thursday, we were discussing iambic pentameter and the fact that Shakespeare wrote his plays in iambic pentameter. 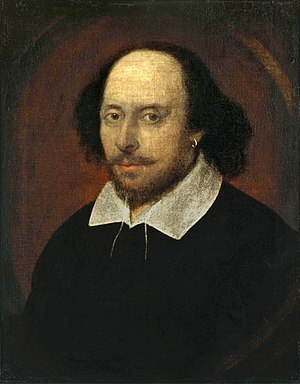 I commented that students were allowed to say they didn’t care for Shakespeare’s style or his works, but that they were not allowed to say that Shakespeare was dumb. That class discussion and Whitney Houston’s funeral led my husband and I to discuss the God-given talents that people are born with and what raising children with great talents entails. My brain is so small that I can’t even imagine hearing a song in my head that has not been written yet or hearing a play in iambic pentameter as I wrote it. I can’t even imagine having a talent like that. Take a moment to consider what you will eat and what you will wear, but put the emphasis of your thoughts on the more important things in life. It’s a good idea whether you are a Christian or not, and that’s my sermon for the week. Have a great week! 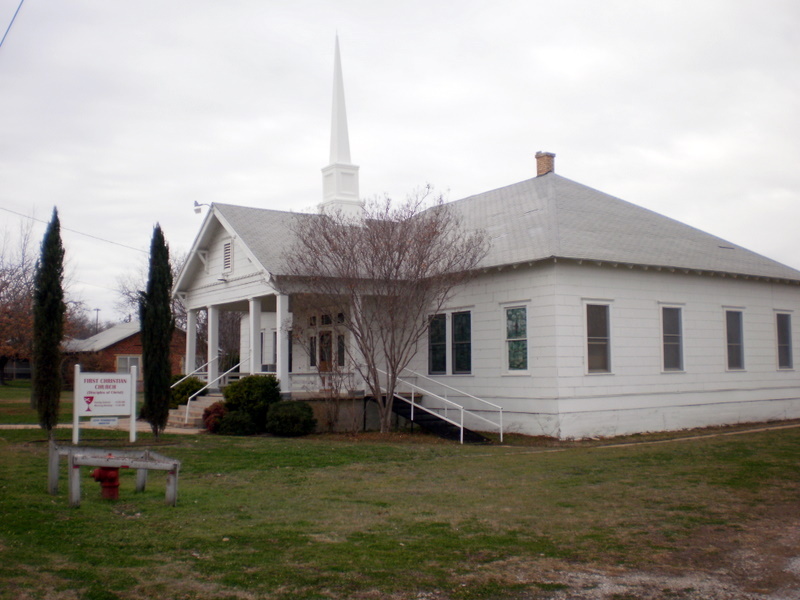 Above is a photo of the First Christian Church (Disciples of Christ) of Richland Springs. The latest census has caused the town’s population sign to be lowered to 336 people. Obviously, they didn’t count cows, chickens, sheep, and goats! We still have four churches in our community, and this church is the one I attended as a youngster. When I moved back here to Richland Springs about 3 and half years ago, I was taken with how the smell inside the old church affected me. The old wood wainscot, the wooden doors and wooden pillars all exude a unique smell which reminds me of my childhood. I have so many memories of fond times in this old church. My maternal grandmother, my parents, and my siblings were all members and in regular attendance. Today, one of my childhood friends, who is a pianist extraordinaire, plays the piano. Her music is a real ministry, and hearing her play is always a blessing.